Strawberry shortcake is a classic, but other berries and peaches can be used for variety. Plan on 5 - 6 ounces of fruit per person. Rinse the berries and drain well. Reserve some of the prettiest whole berries for garnishing. Remove hulls from the remaining berries and slice into a large bowl. Use a potato masher or the back of a large spoon to crush some of the sliced berries. Sweeten to taste with granulated sugar or sweetener of your choice. Set aside while you prepare the biscuits and whipped cream. Whip the cream on low speed with an electric mixer just until it begins to thicken. Sweeten to taste with powdered sugar and add the vanilla. Continue beating until soft, billowy peaks form. Do not overbeat or you risk turning it to butter! Tip: To keep the cream from splattering your counter and cupboards, tear off a sheet of waxed paper large enough to cover the bowl and poke the ends of the beaters right through the paper when attaching to the mixer. This provides a great splash guard, but you have to peek underneath the paper frequently to make sure you're not overbeating the cream. 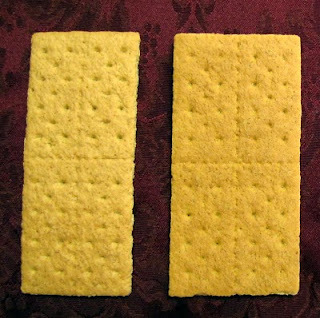 Split each shortcake in half with two forks or a serrated knife. Place bottom half on a serving plate. Spoon on some of the berry mixture, letting the juices soak in. Add a dollop of whipped cream. Top with the remaining half, more berries and another dollop of cream. Garnish with one of the reserved whole berries, plain or chocolate-dipped. Serve immediately.